ShiYan's momentum rose up like a rainbow. Being attracted by his Profound Qi swirl, drifting Sky and Earth aura on the sea surface nearby rolled and poured into his body ma.s.sively. In such a thick, suffocating Sky and Earth aura, the giant Profound Qi tree trunk appeared once again in the middle of the Profound Qi swirl. ShiYan then absorbed it desperately. The strange living form, Holy Spirit G.o.d, had a special ability to gather the surrounding Sky and Earth aura. After having fused with the Ice Cold Flame and the Earth Flame, this ability was enhanced substantially. The amount of the Sky and Earth aura that it absorbed could be compared to the volume of demon aura condensed by the Infinite Demon Saber in a short time. After having received a big amount of Sky and Earth aura, ShiYan's depleted swirl now was overflowed with Profound Qi. Tens of thousands of strands of Profound Qi seeped into the strange s.p.a.ce, making the ancient Profound Qi tree swollen all of a sudden. The ancient Profound Qi tree expanded; each branch of the tree started to be crystallized translucently. His Profound Qi became solid. At the same time, his broken legs, caused when he had been urging the Electric Shift, were being healed under the powerful repairing force of the Immortal Martial Spirit. Blood and flesh in his legs were reborn, and finally, his two legs were restored to its former state. "Kid, you are powerful indeed." Ma QiDun's one-hundred-meter-tall body was hovering in the sky above the deserted island, holding the Infinite Demon Saber in his hand, growling, "Unfortunately, I will not give you a chance to grow." From the Demon Saber, a black demon light extended hundreds of meters like a galaxy in the ether. The demon light weighed more than ten thousand kilograms; it brought along the power of ten thousand mountains like a mighty dragon leaping up from the sea or like an ancient demon beast. It arrogantly released its full-power strike down, which could shock the entire Sky and Earth. Under the terrifying intimidation of the Infinite Demon Saber, his Sea of Consciousness kept shaking nonstop while his host soul was crumbling, seemed like it couldn't bear that shaking pressure. As soon as the Five Devils realized the situation was not going well, they hurriedly turned into five devil shadows and instantly ran into the Sea of Consciousness. His Sea of Consciousness, which had constantly been shaking, finally stopped being convulsive. ShiYan's host soul could regain its control of the body after the concussion. Seeing the Demon Saber blooming saber lights of hundreds of meters long, and also hearing the crackling sounds echoing in the sky, ShiYan showed a trace of craziness in his eyes. Right at this moment, the Blood Vein Ring burst out numerous lights about ten thousand Zhangs (1 Zhang is equivalent to 3.33 meters) long. Bands of light covered the entire Sky and Earth, forming a huge dome that enshrouded ShiYan. The hundred-meter-long saber light of the Demon Saber hacked on the huge dome condensed by the Blood Vein Ring's light as if it wanted to tear down the Sky and Earth. The dome suddenly distorted. The place where the saber struck down was deeply depressed down about ten meters away from the top of ShiYan's head. When a flow of blazing red waves spread out from the huge dome, the island instantly broke into ten pieces. Ma QiDun was also dumbstruck. "Buzz buzz buzz! Buzz buzz buzz!" The Blood Vein Ring suddenly transmitted a wonderful sound as if an ancient soul, which has been silent for millions of years, got enraged by the Demon Saber and now produced a crazy, arrogant resonance. In the Blood Vein Ring's sound, the ancient patterns on the ring surface started to spin up mysteriously. Each pattern seemed to contain tens of thousands of creatures, and they were multiplying, hundreds of millions of trembling mountain, and countless supernatural powers appeared gradually. ShiYan's head was agitated abruptly. ShiYan's spirit was little aghast as his soul seemed to enter a strange s.p.a.ce on the ring surface. He saw an ancient G.o.d with the 'head lifting the sky and feet stomping the earth' aura and Ancient Dragon G.o.ds wrapping around him. These Ancient Dragon G.o.ds penetrated into his body like bulging meridians. Every acupuncture points in his body were emitting dazzling G.o.d lights, and they seemed to contain all creatures. Seven hundred twenty acupuncture points seemed to hide seven hundred twenty worlds. Each of them existed independently, contained multiplying creatures, and numerous high-cla.s.s warriors were born and died. The flow of history of the past, present, and future appeared most visually. "Aahhh." The Ancient G.o.d stood in the middle of the vast, chaotic world, releasing unreconciled howling toward the depth of the universe. That sound shook countless worlds, flowing toward the end point of the universe, the end of the world. ShiYan's head was in extreme pain. The host soul in his Sea of Consciousness expanded crazily all of a sudden. Hundreds of millions of streams of power impetuously poured into the Sea of Consciousness. The Blood Vein Ring's surface cracked a slit that naked eyes were unlikely to see. The Nine Serenities Soul Devouring Flame was suddenly pulled out and then thrown straight into his Sea of Consciousness like a source of the nutrient. The Nine Serenities Soul Devouring Flame released a terrified cry. This third rank Heaven Flame seemed to understand the constraints of fate and feel its life be in danger. Thus, it violently struggled to get out of the bind of some strength in ShiYan's Sea of Consciousness. However, no matter how strong it was struggling to resist, it was just in vain. The Nine Serenities Soul Devouring Flame finally fell into ShiYan's host soul and turned into the host soul's third eye, which was then refined and emerged in between his eyebrows. The unbearable pain came up from the Sea of Consciousness. ShiYan held his head, screaming and howling like a wild beast. At the same time, Ma QiDun continually put forth all of his strength in swinging the Infinite Demon Saber and striking one slash down. The huge, glowing red dome, which was covering ShiYan, once again blocked the blow. However, numerous cracks started to appear as it seemed to be broken at any time. ShiYan was screaming and growling. At the same time, the Blood Vein Ring also burst out. Demon Crystals of Demon Beasts directly flew out, exploded on top of his head and then turned into a beam of Profound Qi energy rushing into that enormous blazing red dome. Having received the Demon Crystals' energy, the surface of the red dome instantly recovered as ever. Ma QiDun roared indignantly, waved his saber and hacked down once again. ShiYan was tossing himself on the ground, enduring the extreme pain, feeling the fusion of his host soul and the Nine Serenities Soul Devouring Flame, sensing his surging Sea of Consciousness. The Five Devils, who were hiding inside his Sea of Consciousness, also seemed to realize the terrifying transformation and thus carefully stayed hidden as they couldn't escape from the Sea of Consciousness. In the peculiar s.p.a.ce of the Profound swirl, the ancient Profound Qi tree grew quickly. Each branch of the tree was sparkling like jade, turning into a solid state, which was overflowed with ma.s.sive energy that could terrify other people. While watching this scene through the crystal, the group of Tang YuanNan, Cao ZhiLan, GuShao, Yuqin, and ManGu were all startled with their popped eyes, dropping jaws, and dull faces as if they were nailed down on the ground without being able to move and simply forgot who they were. Everyone was so terrified that their minds were all in shock, and their breathing stopped as well. They just blankly watched the explicit scene inside the crystal. A long while later, Tang YuanNan's body suddenly trembled as he awoke from fear. He was dumbstruck for a moment before flying away, ignoring other people. Right after Tang YuanNan had left, GuShao, Yuqin, Cao ZhiLan, and ManGu restored their consciousness in surprise. The four of them exchanged looks, and they could clearly see the fear in each other's eye. 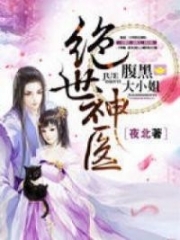 "The Yang family has lost Yang Tian Emperor, but then this ShiYan, who is even more terrible than him, has appeared out of nowhere. If this kid doesn't die today, no one in the Endless Sea can suppress him in the future." GuShao kept silent for a long while before looking at Cao ZhiLan and speaking with a low voice, "When this little rascal grows up, even your great grandfather Cao QiuDao cannot restrain him." Cao ZhiLan's delicate body suddenly shivered, her eyes were full of remorse. Until this moment, she knew what she had missed. Cao ZhiLan wanted to cry deeply in regret, and intensely repented of missing out the person who will have an earth-shattering future. "If he doesn't die today, Endless Sea will be in his hand in ten years." 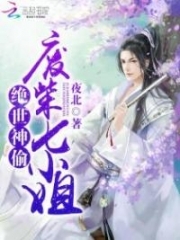 Yuqin released a long sigh, looking at Cao ZhiLan, then shifted her eyes to the east, muttered, "Zhong Li Dun who is the first rank in the Power Rankings can't hold the candle to him. The Yang family is where heroes were born. " "We are going to save him." Cao ZhiLan's charming body slightly trembled; she suddenly cried, "Because of the Endless Sea, we have to save him. He will be the key to deal with the Demon Dwellers." "Cao iie!" (Chinese way to call an older sister) ManGu slightly shook his head with a complicated face. "You guys…" Cao ZhiLan was floundered for a moment and then realized something instantly. She threw a glance at the other people, sneered and said coldly, "You are afraid now?" "If he doesn't die, even if the Demon Dwellers leave, we still hardly escape from this catastrophe." GaoShu bowed his head, didn't dare to look at Cao ZhiLan, and said with a cold voice, "We used to deal with the Yang family together. As long as ShiYan is alive, once he grows up, he will certainly take b.l.o.o.d.y revenge on us. Your Cao family will not escape from his vengeance easily. If you don't want to become Yang family's subordinate, it's better just to stand aside to watch and do nothing." "He is too strong. This Endless Sea will not be able to control him." Yuqin also shook her head, releasing a sigh, "If Cao QiuDao and Yang YiTian know that the Yang family has this kind of person, they will also be willing to see his premature death. Due to our families and the Martial Spirit Palace, these two people will not give him a chance to develop further." "He must die!" GuShao bowed his head and slightly shouted. "Cao jie, Endless Sea really cannot tolerate him…" ManGu also shook his head and sighed, "No one benefits if he is alive. Everyone knows about Yang family's strong and domineering deeds, and we have joined forces many times to deal with them. If ShiYan is still alive, he will definitely break our homes and take our lives." Cao ZhiLan's beautiful eyes exposed a trace of confusion. She blankly looked at the crystal and hesitated. Suddenly, the sound came up from the bracelet on her arm. Cao ZhiLan was stunned, immediately touched the bracelet. The crystal chunk that she used to communicate with the Cao family quietly emerged from her hand." Having used her soul to communicate for a while, Cao ZhiLan immediately paled. After that, she released a sad sigh and mumbled, "My family also seems to know the things here. As you've said, they don't want him to live…"
As she had finished those words, Cao ZhiLan sat down helplessly, stopped clamoring to save ShiYan, just dazedly looked at the crystal in front of her. ShiYan didn't know when he had stood up. A mysterious sword was hovering above his head. On the sword, many closed eyes opened successively. The endless evilness from those eyes came in. 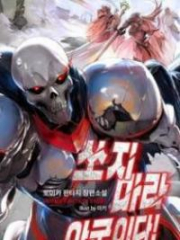 You're Read God Of Slaughter Chapter 338 online at NovelOnlineFull.com. You can use the follow function to bookmark your favorite novel ( Only for registered users ). If you find any errors ( can't read,broken links, can't load photos, etc.. ), Please let us know so we can fix it as soon as possible. And when you start a conversation or debate about a certain topic with other people, please do not offend them just because you don't like their opinions. You're reading God Of Slaughter. This manga has been translated by Updating. Author(s): Ni Cang Tian,逆蒼天. Already has 6807 views. Current Time is 19-Apr-2019 13:11:53 PM.